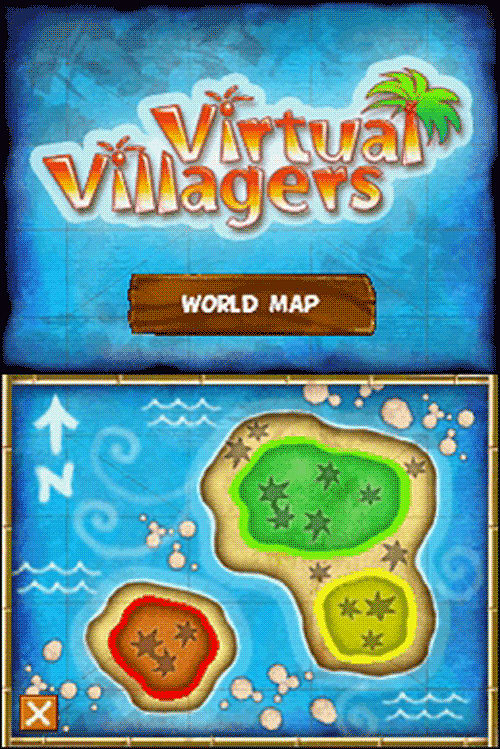 A group of poor, ship wrecked villagers have washed up on the shores of a mysterious island... and they need your help! 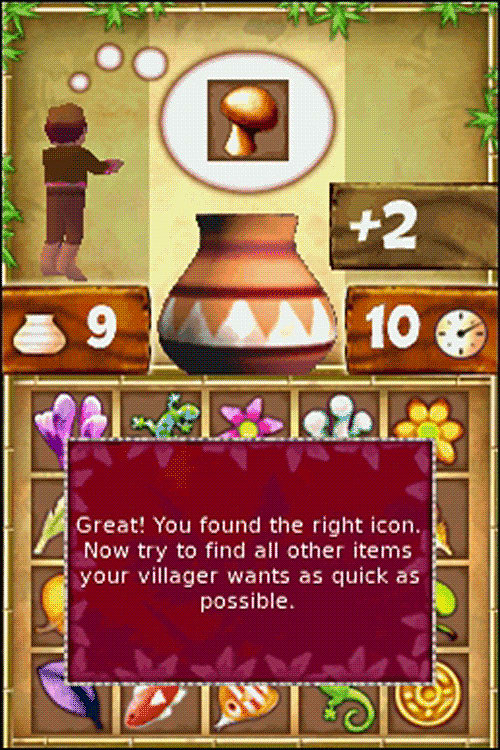 Help them find food and build a new village. 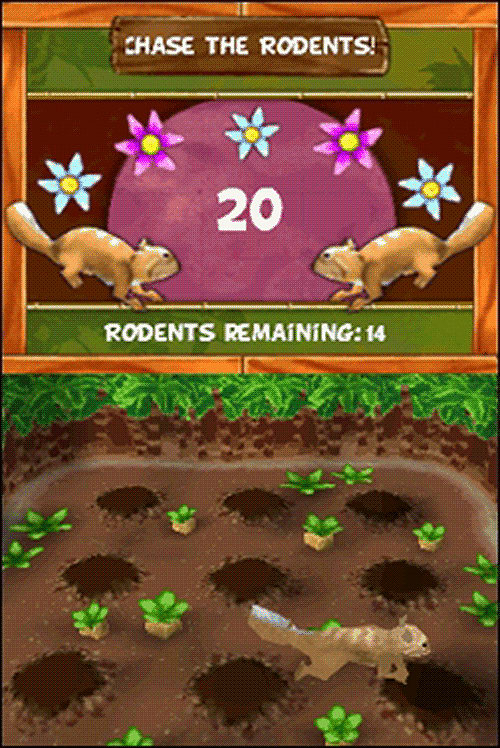 Boost their skills by playing mini-games. Help them make decisions: Is the stranded whale to be returned to the sea, or is it more important for the survival of the village? 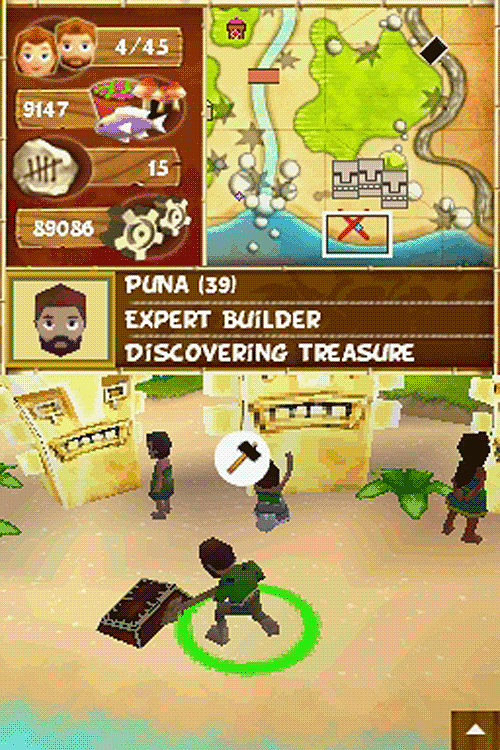 Grow your tribe while uncovering the many mysteries of the new island! 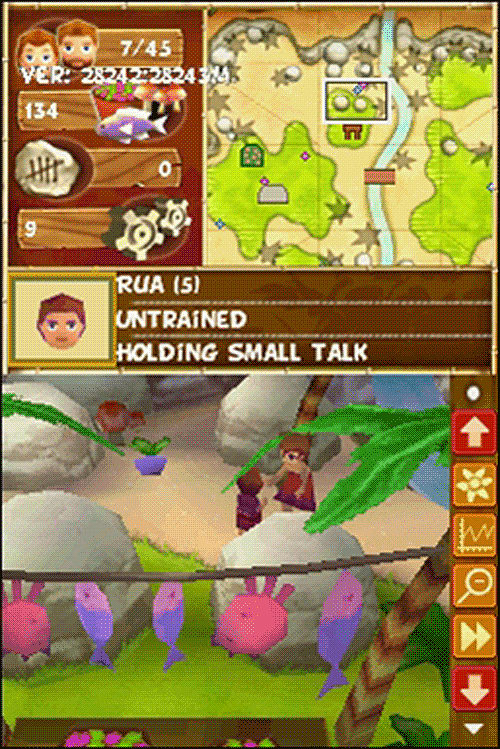 Remember to check in regularly, as your villagers continue to lead their lives even when you switch off your console! 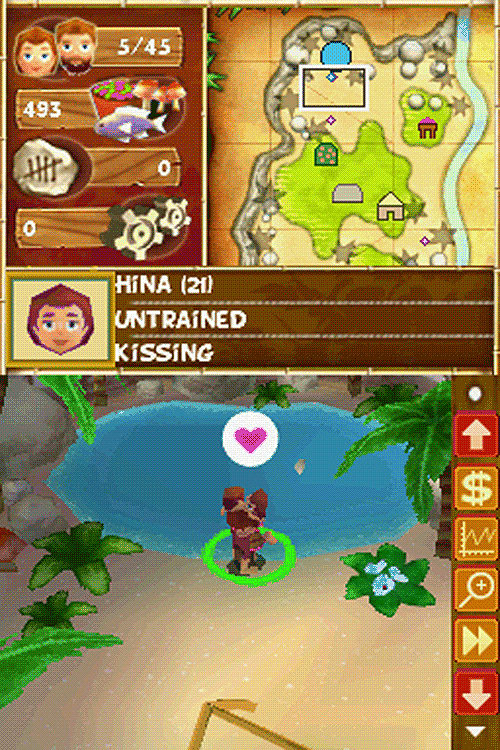 Includes a wide variety of fun mini games!